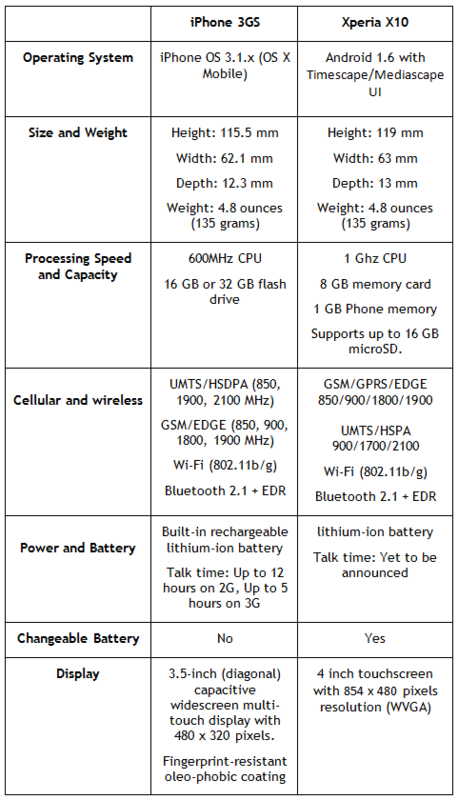 As you can clearly see from the comparison chart above, it really drills down to what the end-user wants from his or her phone. If you want a phone with high quality camera, then Xperia X10 is the answer since it boasts of 8.1 megapixels autofocus camera. On the other hand, one clear advantage that iPhone has over Xperia X10 is its huge number of apps offering, which is a big attraction for most users. But when it comes to sheer hardware power, Xperia X10 comes out as a clear winner since it is powered by the monstrous Snapdragon 1 GHz Processor. 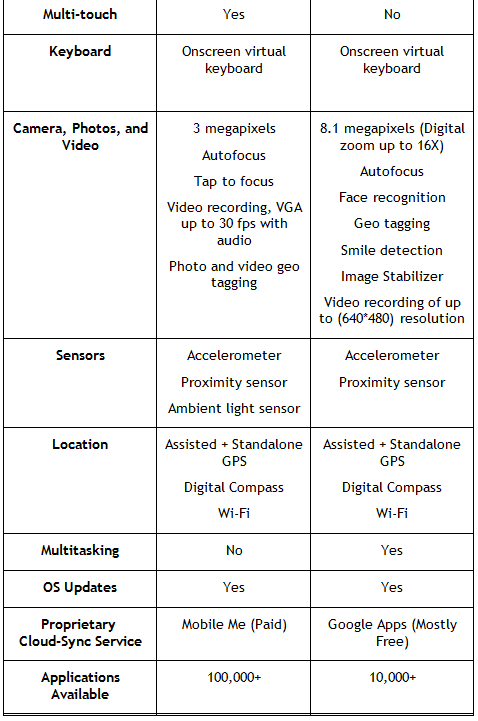 So it really comes down to what you want from your phone and which platform are you more comfortable with. If you are already sold into the Apple eco-system, then surely iPhone 3GS is the way to go. My 14 yr old got the xperia. Actually the whole family did. We love it. My father has the Iphone and is getting the xperia. 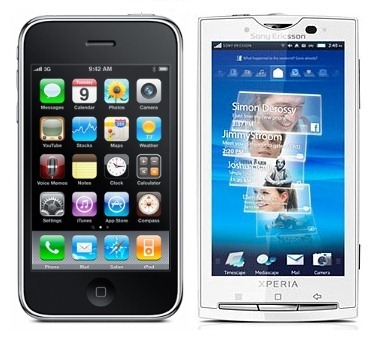 I already read all of your comments so now I am confused between iphone 4G and Xperia X10. so please there is anyone who is very expert in both and can advise me. im getting the X10 but my sister has the iphone, she kept persuading me to get the iphone, but which is actually better? my sister try to buy me a iphone but i check first in the internet all the impormation of xperia, then i found out that its very good then i decided to tell my sister to bought me the xperia i cant wait….